I went to a Holy Communion at the weekend. My friend Claire is always the perfect hostess, she is Irish and has a knack for throwing a party and making everyone feel welcome. She didn’t let us down on Saturday. Not only did she put on a fantastic spread, she hired entertainment for the kids. When I arrived with the gang there was a reptile party man there from snakes alive parties. 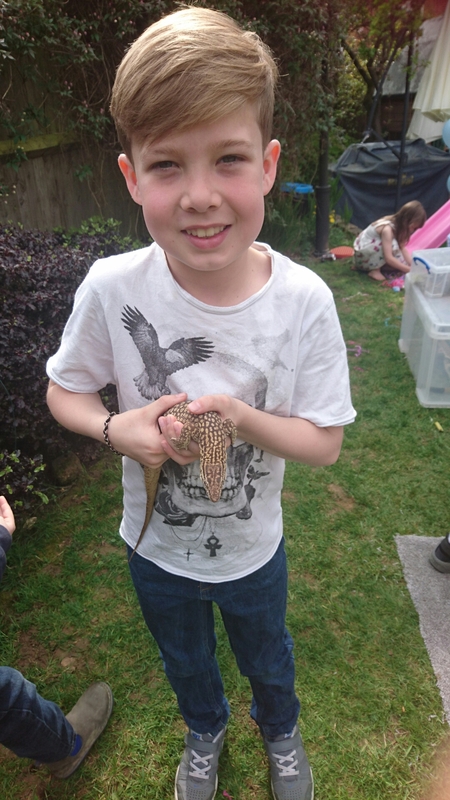 He had boxes of reptiles all over lawn. 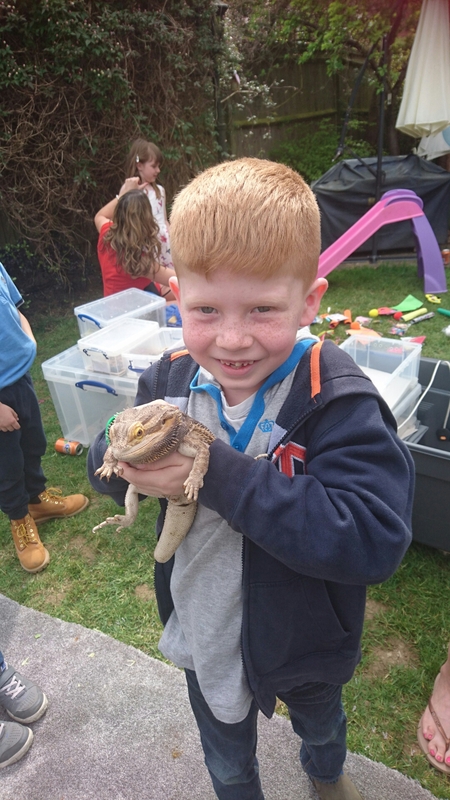 There were children of all ages walking around with huge pythons, corn snakes, bearded dragon lizards, iguanas, tortoises, stick insects and tarantulas. All the adults were safely plotted on the other side of the garden, as far away as possible, next to the booze and food. 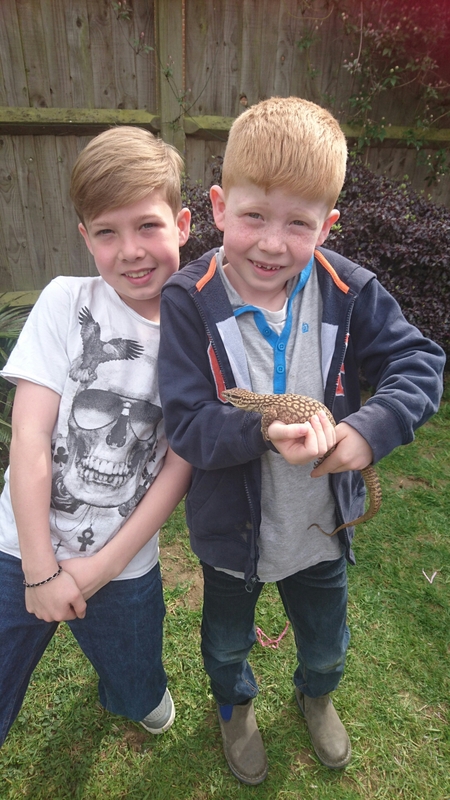 I asked my lot if they wanted to go and see the reptiles. There initial reaction was ‘HELL NO’ and they headed straight for the bouncy castle. By the time I had grabbed a beer and said hello to everyone they all had an animal in their hands. 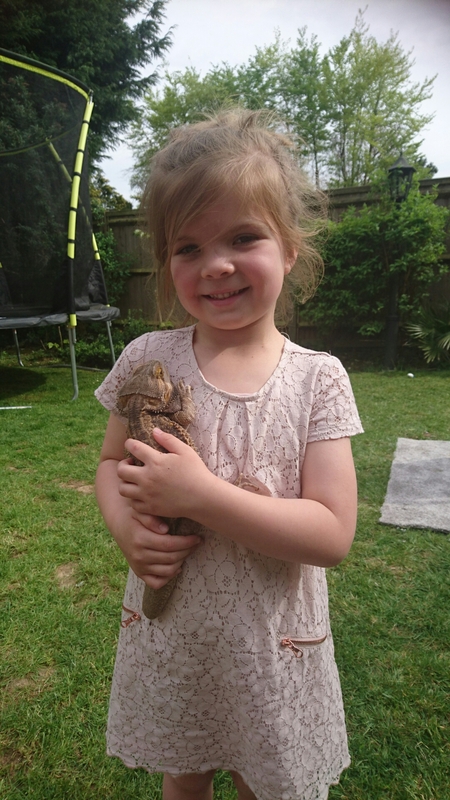 Libby was walking around with the bearded dragon like it was her baby. 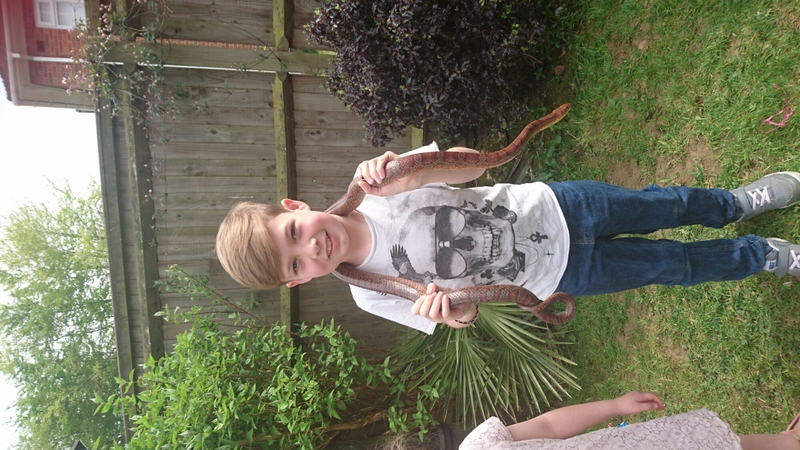 The reptile man was really good with the kids, he made it really fun and was very relaxed. 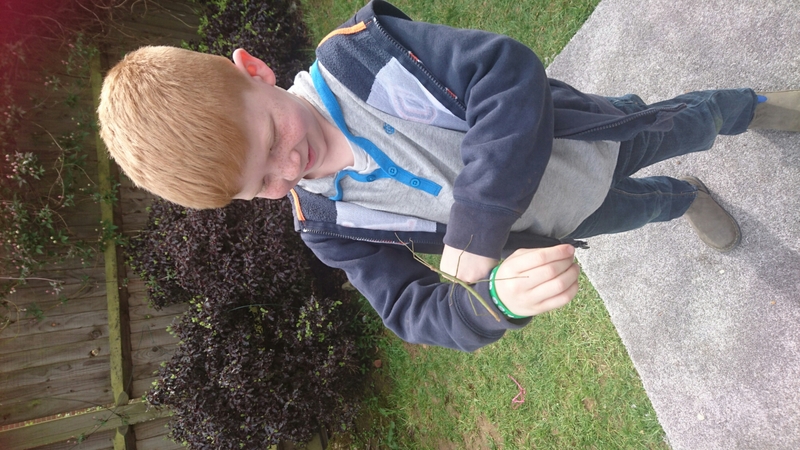 Mike spent the afternoon in a cold sweat as his only fear is snakes, which added to my amusement. I’ve grabbed his number for our next party.